One of those times dear to me were the ones that my parents would visit us from Milan. It has been more than 2 decades since they decided to live and work there. But if work and finances permits them to visit me and my kids, they would. It so happen that they would only come to Manila every other year. But they made sure that whenever they do, they bring pieces of fine delicacies from the paradise known to me as Italy. prosciutto, jarred olives, tinned tomatoes, chocolates and of course the stinkiest but best tasting gourmet cheeses (Though it is an acquired taste for many even for me). I did mention that I keep a stock (yes I hoard them, which is a direct appointment to my sister and brother, hahah) of authentic Italian kitchen staples. As you can actually notice, I cook a lot for my family and we all got accustomed to Italian dishes (we would even eat pasta for meryenda). Well of course, my pantry is no bigger than any ordinary sized kitchen and we would normally ran out of some goods. So what do I do? Stop cooking! Not! I go out look for retail shops (though I frequent the grocery, Rustans in Magallanes in particular) or we look for a good yet easy on the pocket restaurants catering Italian dishes. I'm not saying that Italian cooking is not expensive. It may be, depending on the ingredients you will be choosing. I'm the Queen of Alternatives, haven't you realized, so if I'm really out of ingredients, I try to use products (even local) to compensate for that lost ingredient. But still, there is that distinct Italian flavor that you can not replace with other ingredients, thus not making it genuine anymore. The aroma, the deep rustic flavor and the pizzazz. So when someone tells me there is a retail shop for imported goods, that's not US made, not even close to S and R, I'd make a run for it and would definitely make a visit. Actually, I got acquainted to the Chef Consulting Manager of S & L, Chef Philip Golding (of Golding Culinary Group), when he asked me about my knowledge of Brera at Yakal St., in Makati, since we were talking about better food solutions and where to get supplies. He then referred me to Paolo Kalagayan who works with Chef Philip, who is also a chef. Since 2007, S & L Fine Foods, Inc. is a privately owned company that imports and distributes food to numerous food service establishments in the Philippines. Their product line includes imported dairy, cold cuts and grocery items from Europe. Paolo showed me around S & L's retail marketing arms, Brera Delicatessen and Sinan's Butchery. I'm so impressed about the guy's extensive knowledge of the products the company sells. Even my love for deli and cheeses could not make me memorize all those different kinds of cheeses they have in the temperature controlled showcase. The air is redolent with prosciutto and a collective different cured hams. That was the first thing I noticed as we both went inside Brera. I just held my breath in awe when I saw three huge glass encased freezer full of a mesclun of cheeses and cold cuts. 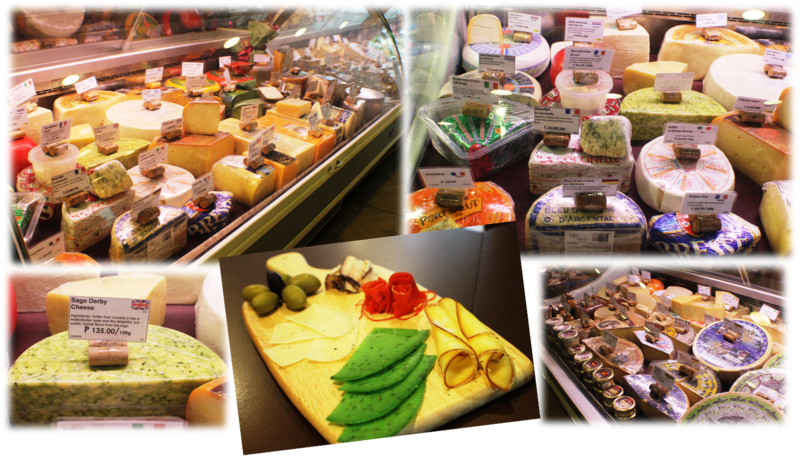 Brera is the Delicatessen where S & L's cheeses, cold cuts and other gourmet items from countries such as Italy, France, Germany, Denmark, Holland, Belgium, Cyprus, Greece, Switzerland, UK and Spain. Now, I know where to get the pasta I need for those special dinner I need to prepare for house guests. 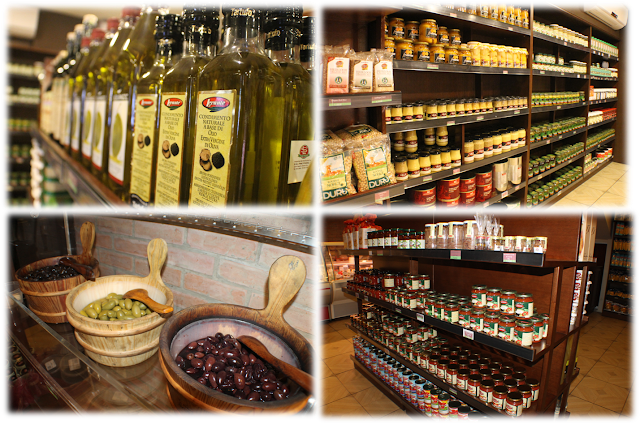 They also have Mediterranean essentials like beans, bulgur, cous cous, risotto different kinds of jams and fruit preserves. I also got me this jar of anchovies. Itallian Salsa or condiment, with sausages and musrooms. They have a few items though on the sweet side, aside form the jams and preserved fruits they also have these Italian cookies. A gem, last I had these dried apricots were from a package two years ago (with a couple others of dried fruits from Milan), which I mixed with chocolate to make Chocolate Bark. Chavroux is a fresh goat cheese from France with a soft, creamy, rich and slightly sweet flavor so it is good with salads and sandwiches. Before Brera, S and L, would only sell wholesale or in bulk. Cheese are sold primarily in blocks or wheels, which is really costly. I guess with the stock they had and requests from the market to sell in slices, they are now open to everyone who wants to by a couple of different slices at a fraction of a cost. So you can either buy a 3 KG wedge or a 35 KG wheel of Grana Padano for just P 808 per KG or just slices in grams. Grana Padano is a subtler and less nutty and salty with a more delicate flavor versus Parmigiano, that is prefers on risotto or when you don't want to overpower a dish. The flavor differences stem from two big differences between the two: First, Grana Padano is made only with partially skimmed milk, while Parmigiano is made from a mix of whole and skimmed milk. And second, according to Paolo, while they are made in the same basic part of Italy, they are also made in different regions from cows that graze on different pastures - meaning the milk tastes a little different (and also changes slightly in flavor) throughout the year. So make sure to ask the staff about the different products, just hoping that they are well-educated enough like Paolo who knows a thing or two about food pairing. How about a jar of Mulberry Molasses? Paolo showed me this though I was a bit adamant on how I could use this on my cooking or baking, but then again, when a recipe would call for one, I guess I know where to get one. Cooked, sliced meats, also known as deli, lunch meats or cold cuts, are a boon to brown baggers looking for simple fillings for sandwiches, and easy-to-serve choices for parties and family gatherings. Basically, they’re just slices of sausages in one form or the other. You can buy them here at Brera as well already sliced in vacuum packs or have them sliced to order at a deli counter. 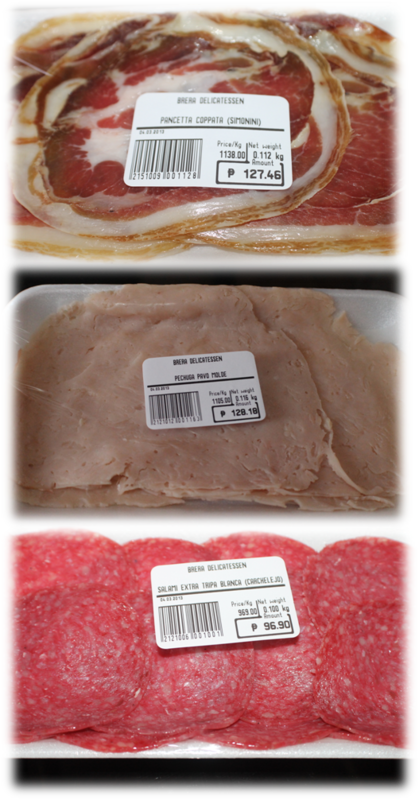 You’ll find scores of varieties including: beerwurst, bologna, pepper loaf, olive loaf, capocolla, chicken breast, chicken roll, corned beef, Devon sausage, ham, liverwurst, pastrami, proscuitto, roast beef, salami, pepperoni, summer sausage, turkey breast and turkey roll. 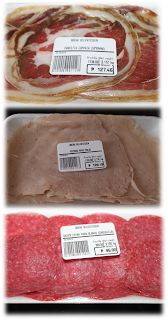 If you are unfamiliar with a type of deli meat, ask for a sample. Sometimes the flavoring or texture might be a surprise (either good or bad) and in this category it is always wise to try a sample before you buy. Just ask them about it. Same goes with the cheese, except those that are pre-packed in singles. On the right is a photo of my haul, which I made a couple of sandwich for all us. It was not that expensive at all. I also bought a loaf of Pesto bread at Pan de Pugon, near us and just played around with the cold cuts and cheese slices I took home. My kids even made their own sandwiches with their favorite loaf of bread. A meal that would have cost us a thousand pesos or more was only P500 for the six of us. 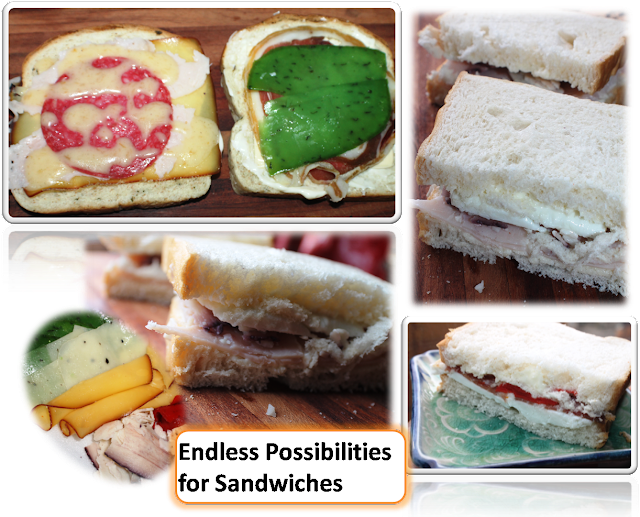 That is why I would prefer making my own sandwiches than eating somewhere at deli shops. A next door neighbor shop. which is also relative to S and L, and A.G.D. (Aaliyah Gourmet Delicatessen) is Sinan's Butchery. Sinan however is the retail arm for the finest imported beef and lamb products. They carry a wide range of frozen grass-fed beef and 6 to 10 month old lamb including HALAL, denuded red meats, customer-specific trims, Bone-in and boneless products, fancy meats, internal & external fat and trimmings, carcase (lamb), lastly frozen free-range chicken. So if you ask, why would we go there, if we knew of a place to buy those instead. My answer, theirs is cheaper compared to the other know deli even from supermarkets. S and L and AGD follow a strict compliance targeted to good quality products. Why don't you visit them, both Brera and Sinan and see for yourself what kitchen wonders you can create with all these products. been looking for a place where in I could buy lamb meat.. good thing I found this blog!